Untouchable by hurricanes, impervious to tectonic movement, protected by polar bears, and reachable only through methods worthy of reality television - the Svalbard Global Seed Vault provides the ultimate in long term storage for seed. On February 14th, Seed Savers Exchange sent its sixth shipment of seed to the vault, located on a remote archipelago in arctic Norway. This vault serves as a global gene bank for the world’s food crops, and will provide long-term back up for Seed Saver Exchange’s preservation collections. To date, Seed Savers Exchange has deposited a total of 2,248 unique varieties, and continues to deposit seeds of several hundred varieties every year. The Svalbard seed vault was built deep into mountainous permafrost, which keeps the vault at below freezing temperatures even without a cooling system. Furthermore, its treacherous and remote location protects the vault from possible harm due to natural disasters and human powered calamities like a nuclear bomb strike. 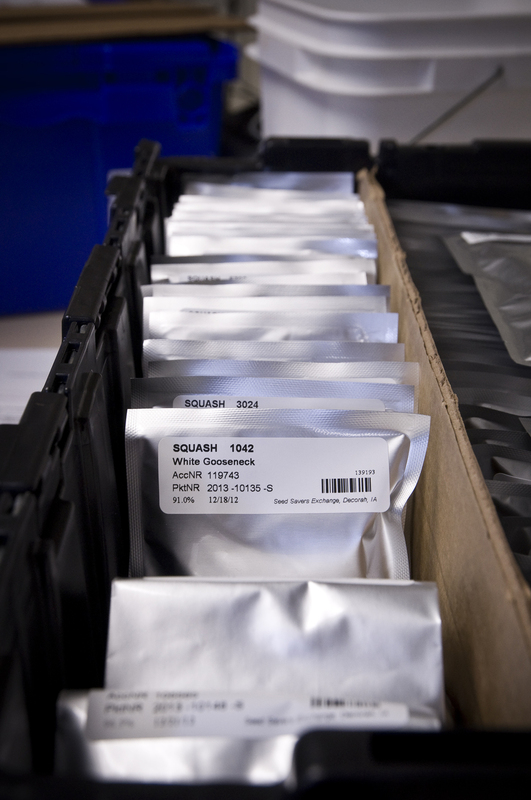 This kind of protection ensures Seed Savers Exchanges’ seeds will be safe for many years to come. “As one of 1400 seed banks in the world, Seed Savers Exchange is proud to deposit an additional 366 varieties in the Svalbard Global Seed Bank in Norway, bringing our total deposits to more than 2,000 varieties. The global seed bank, with 725,000 total deposits, represents man’s best efforts to ensure that today's seed varieties are available for future generations.” – John Torgimson, Seed Savers Exchange president. Read more about the genetic resources preservation efforts at Seed Savers Exchange here.